Some of the finest cuisine in America, if not in the world, comes from New Orleans. With its rich background steeped in French and Spanish recipes (and later Sicilian and Italian dishes), blessed with superb local ingredients abounding with unusual vegetables and an abundance of seafood, meats, and superb sauces, the Creole food from the Crescent City (the local nickname for the city) is world famous. Dishes like Jambalaya, File’ or Okra Seafood Gumbo, Shrimp Creole, Crawfish Etouffee’, Cafe au Lait and Beignets, Stuffed Artichokes, Fried Eggplant, and Red Beans and Rice with Andouille Sausage are culinary marvels. Visitors come from all over the world just to taste these fantastic creations which go way back into the history of Old New Orleans. 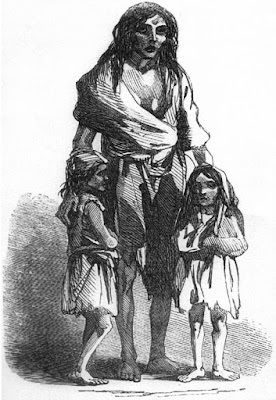 So, it should come as no surprise that the very first Creole cookbook published in English (as opposed to French) would have been written by … an Irishman. What?! Yes, the very first English language New Orleans Creole cookbook was published in 1885 and written by … an Irishman. How can that be? The Irish do show up in the strangest places, and this time it happened in Old New Orleans. 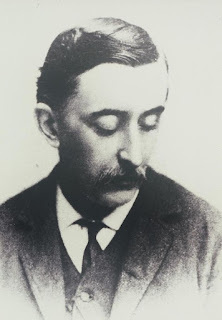 The man in question was named Lafcadio Hearn (a.k.a Patrick Lafcadio Hearn), who lived from 1850 to 1904. Although he was technically a subject of Great Britain, since Britain occupied Ireland at that time, he was of Irish and Greek descent. (Lafcadio is a Greek name, after the island called Lefkada in western Greece where Lefcadio Hearn was born; Hearn is an Irish name derived from the Gaelic name O’huidhrin.) He is claimed by the people of the many places where he lived. He is claimed by Greece, Ireland, Japan, Cincinnati, Ohio, and, of course, New Orleans, Louisiana where he lived for ten years. Hearn was born in Greece to an Irish father who was stationed there as a British army medical doctor -- who was originally from from Offaly, Ireland -- and a Greek mother. With a career in the army, Hearn’s father moved to various places; and for a while Lafcadio lived in Dublin, Ireland. Although he had been Christened Greek Orthodox, he studied at a Roman Catholic school in France. He also was taught by the Jesuits; but he had anxiety and misgivings resulting from his Jesuit experience throughout his life, although he apparently received an excellent education from the Society of Jesus. He also studied at a Catholic seminary and began calling himself “Paddy” to sound more Irish. Hearn had been left in the custody of his aunt, as his parents had been unable to care for him. When his aunt became impoverished, he lived with aunt’s former maid. Needless to say, this was a difficult time for Lafcadio; but he soon developed an interest in life which was literature and writing. 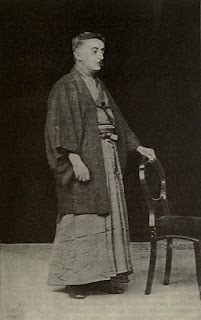 Lafcadio Hearn in Japanese clothes. A world traveler, he would ultimately live in Japan. 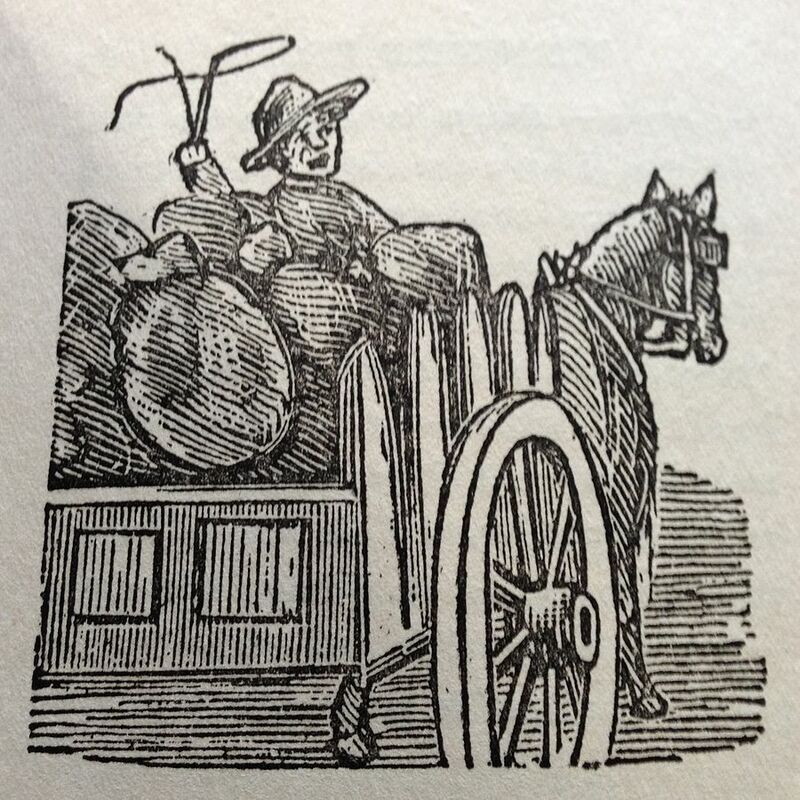 Hearn’s aunt’s financial advisor arranged for Lafcadio to travel to Cincinnati, Ohio to launch a career of some sort with the aid of the advisor’s sister who lived in Cincinnati. The sister and her family were of little help, however; and Lafcadio survived by his wits and with odd jobs. All the while he spent his free time visiting public libraries and reading books. 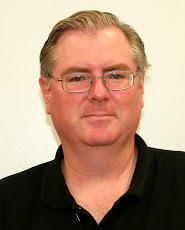 Eventually, because of his writing skills he got a job with the Cincinnati Daily Enquirer newspaper. He worked there from 1872 to 1875 covering crime stories and also doing features about the poor and the downtrodden -- something he knew about first hand. He became popular with the reading public because of his highly descriptive and emotional style of writing. He did all this while dealing with his own serious physical problem of bad eyesight -- he was blind in one eye, and badly nearsighted in the other. Hearn had a falling out with the Daily Enquirer and went to work instead with the Cincinnati Commercial newspaper. He had married and later divorced an African American woman, although inter-racial marriage was actually against the law at that time. He was rapidly becoming dissatisfied with life and with Cincinnati, and he wanted a drastic change. So, when he convinced the Commercial that he could write articles for them and travel too, he headed south to sultry, exotic New Orleans. It is not clear if, or to what extent, the Commercial paid Hearn for his articles about New Orleans. Whatever the case, Hearn was, by all accounts and despite being at first very poor and hungry, finally happy with life during his stay in New Orleans where he seemed to fit in, in a city known for its unique nature -- where being odd was, and still is, normal. 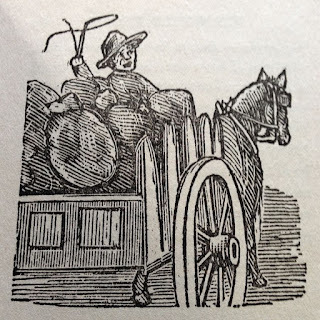 It was said that some of Hearn's happiest times were when he ate New Orleans dishes at a boarding house run by a woman named Mrs. Courtney, She was Irish and befriended Lafcadio and helped him out at times when he struggled with day-to-day life. In 1878 Hearn was living in New Orleans and began writing for two local newspapers -- the Daily City Item and the Times Democrat. He prospered in New Orleans somewhat becoming a news editor and even making illustrations or cartoons from woodcuts for the newspapers. Because of his knowledge of foreign languages, he began translation work too, translating books from French and Spanish. Despite all of his journalistic work, he somehow managed to remain consistently poor and often hungry. His personal hunger led to an interest in food and then to recipes and cooking. Lafcadio Hearn wrote a book about New Orleans proverbs called Gumbo zHebes, and he continued to write about New Orleans in Harper’s Weekly. But in 1885, he did the impossible -- he wrote the first cookbook in English on New Orleans Creole cooking -- La Cuisine Creole. The book was subtitled: “A collection of culinary recipes from leading chefs and noted Creole housewives, who have made New Orleans famous for its cuisine.” And that is exactly correct. Using his literary fame and personal charm, he maneuvered his way into the homes of prominent ladies and gentlemen in the old Creole city of New Orleans. He got a free meal and plenty of material to write his cookbook, to boot. Hearn sometimes added comments to his recipes, saying, for example with Jambalaya, that Southern children like the dish and it is “very wholesome as well as palatable.” He added that Jambalaya can be made of many different things. Indeed, he was right. Many Creole recipes still do change from chef to chef and home cook to home cook. Nothing is written in stone. Although it may have its limitations in modern times, Hearn’s La Cuisine Creole was a marvel. It allowed for the English-speaking world to begin the great adventure of making real New Orleans Creole Cuisine at home. Hearn did not remain in New Orleans, however, although he clearly loved the uniqueness of the Crescent City. He developed an interest in the Far East and Asian philosophy and wanted to travel again. (Reportedly, his interest in Japan was awakened when he saw the Japanese exhibit at the Cotton Exposition in New Orleans.) Lafcadio's interest in religion, philosophy, and spiritualism led him to an interest in Buddhism which in turn led him to Japan. He went to Japan as a journalist, but he stayed and made it his home. 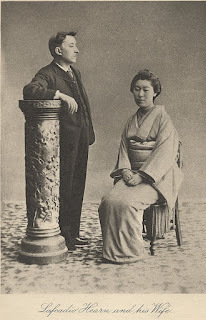 He married a Japanese woman, who was the daughter of a samurai, and adopted a Japanese name -- Koizumi Yakumo. Hearn became wildly popular as a writer in Japan and even taught school for awhile. He also officially changed his religion to Buddhism. (So, he went through several religions in his lifetime -- Greek Orthodox, Roman Catholic, and Japanese Buddhism. For a while he also followed the philosophy of Herbert Spencer who believed in Darwinian evolution. Hearn was apparently always seeking "the answer.") Hearn then became a naturalized Japanese citizen. Hearn continued to write for newspapers and to teach literature at Middle schools in Japan and eventually at Tokyo Imperial University and Waseda University. Lafcadio was largely responsible for bringing some of the first descriptive images of exotic and then-isolated Japan to the Western world -- just like he brought images of exotic but not so isolated New Orleans to the rest of America. Sadly, in 1904 Hearn died from heart disease. He was only 54 years old. 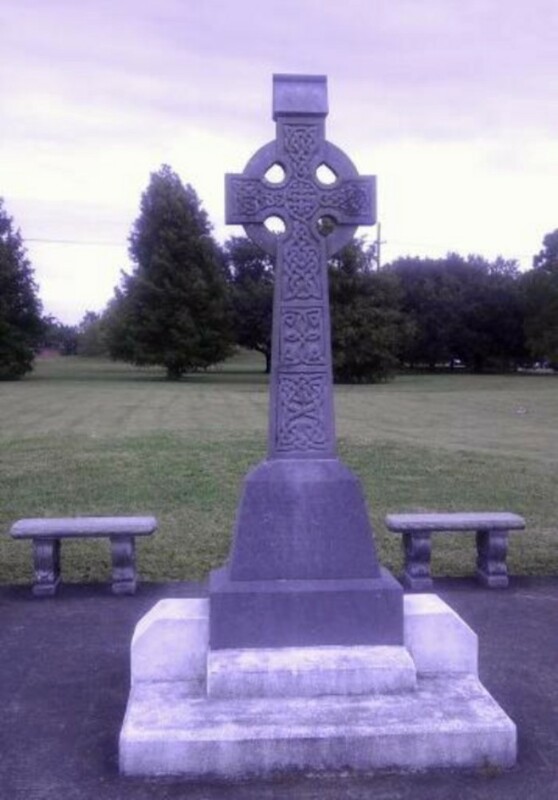 Lafcadio Hearn’s grave is in Tokyo; yet he is remembered in Greece, Ireland, Japan, Cincinnati, and New Orleans. Today there is a memorial to Lafcadio in Matsue, Japan, the Lafcadio Hearn Memorial Museum. There is also a museum to Hearn on Lefkada in Greece called the Lafcadio Hearn History Center. Hearn's former house in New Orleans (at 1565 Cleveland Avenue and corner of Robertson Street) is listed with the National Register of Historic Places. Tulane University in New Orleans has a special section in its Louisiana Research Collection called the "Lafcadio Hearn Collection" with material about Hearn and his works. In recent years Hearn was remembered in Tramore, Munster, Ireland. He spent many happy days during his summertimes in Tramore, Ireland when he was a child, while in the care of his aunt, Sarah Brenane. In 2015 a visiting delegation from Japan, where Hearn is popular to this day, presented the public officials in Tramore a bronze bust depicting Lafcadio Hearn. This was meant to honor Lafcadio and his works. It also displayed the connection between Ireland and Japan, which Hearn established through his life and works. Today there is a memorial to Lafcadio Hearn in Ireland called the Lafcadio Hearn Japanese Gardens. It serves as a permanent reminder of the ties between Ireland and Japan which Hearn helped to create. So, Lafcadio lives on all around the globe. He was never an American citizen (so not really an Irish American); but for ten years, he lived as a New Orleanian and wrote its first English language Creole cookbook. Given the supreme importance of food in New Orleans culture, Lafcadio Hearn could easily be called an Irish New Orleanian.